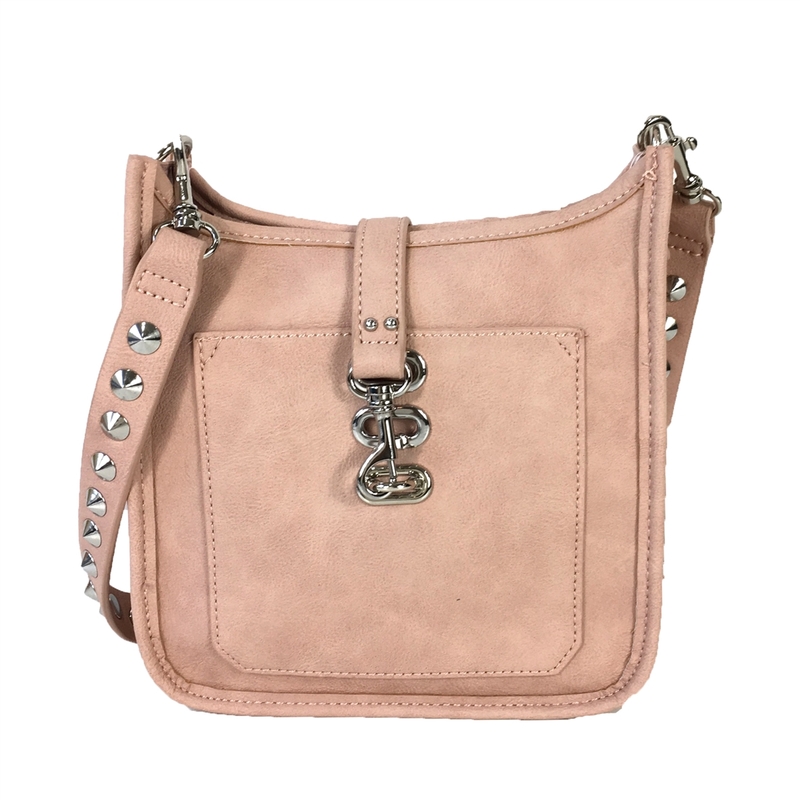 Clean lined structure gives B-Wylie a polished look, while a front pocket and metal clip closure offer utilitarian appeal and an studded strap adds an edge to this petite crossbody. 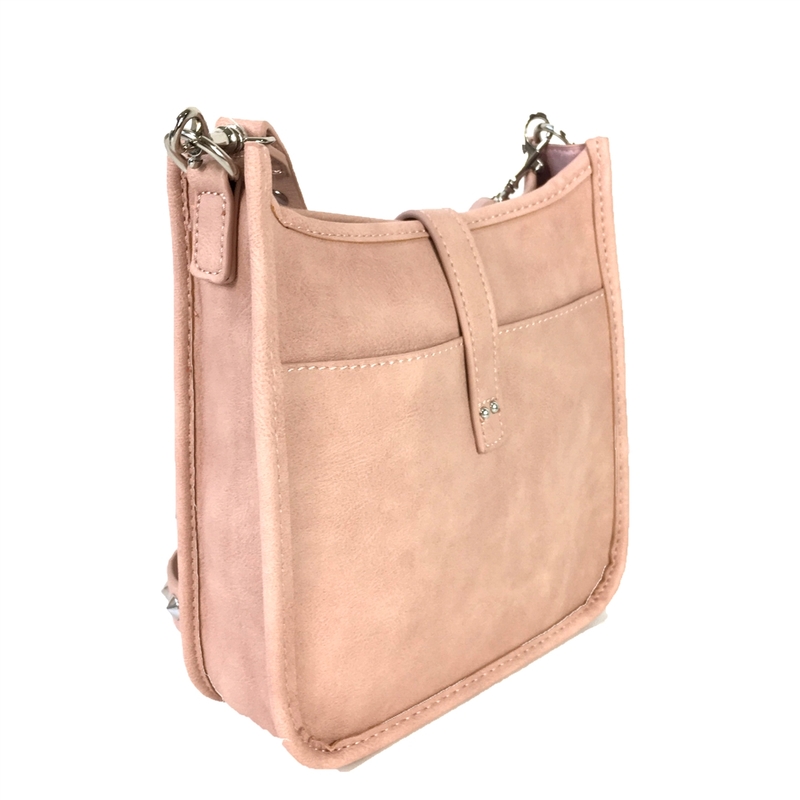 Petite crossbody feed bag in vegan leather. 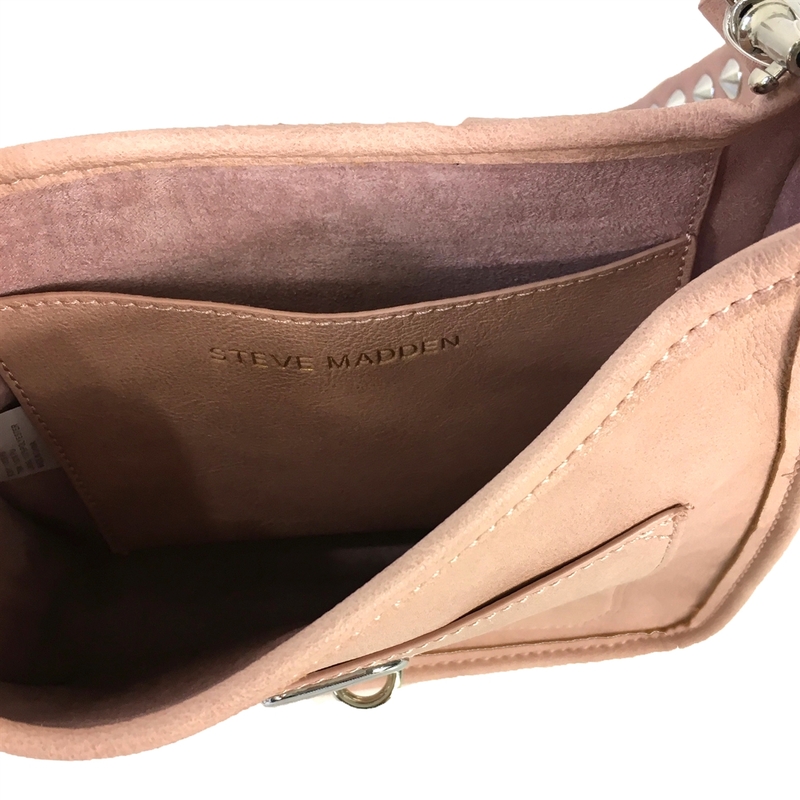 Front slip pocket. Back slip pocket. Stud accented strap, 20" drop. Strap with front dog clip closure.